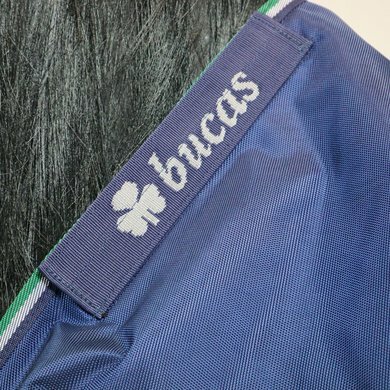 The Bucas Smartex Turnout Extra Big Neck is an outdress from the top segment of Bucas. 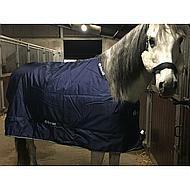 This blanket has a special fit for horses with a lot of front, a heavy neck and a wide chest. Ideal for stallions, fries, baroque horses, seagulls, fjords and quarter horses. 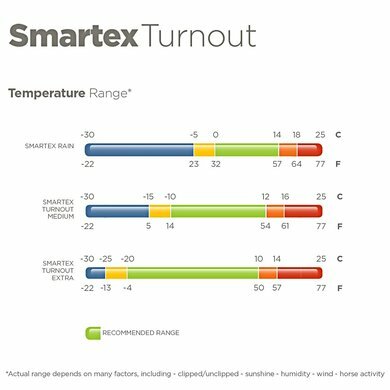 The Bucas Smartex Turnout Extra Big Neck is the only blanket you need to keep the hardest winters in trouble in the coming years. 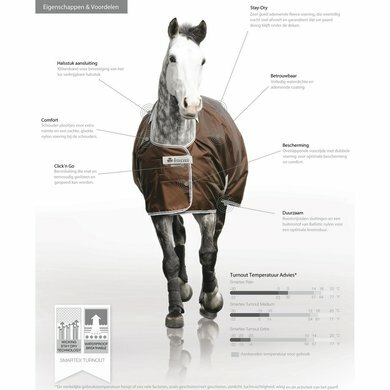 The blanket keeps your horse at a comfortable temperature at an outside temperature between -20 ° to + 10 °. The Bucas Smartex Turnout Extra Big Neck is made of the strongest, waterproof ballistic nylon. 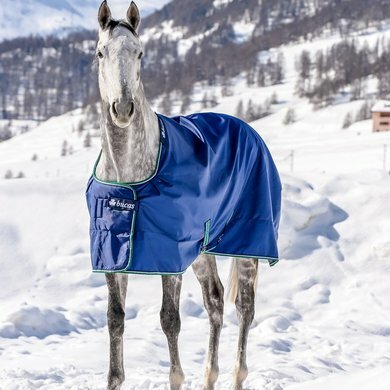 This lightweight blanket makes the laying and changing of multiple blankets totally unnecessary and your horse enjoys the full winter comfort and freedom of movement. 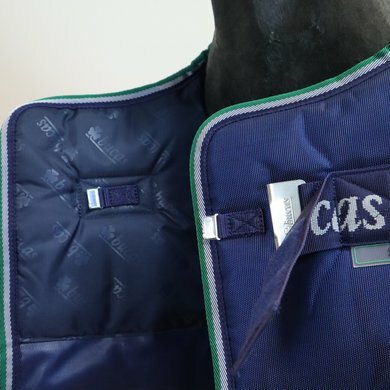 The filling of the Bucas Smartex Turnout Extra is thermo-bonded ie the filling is integral with the Stay-Dry. lining and not like the most blankets stitched locally to the lining. This special padding ensures that the blanket over the entire surface is equally warm and that after many washes it is still as thick and warm everywhere. The unique Stay-Dry lining works like a sweat blanket. 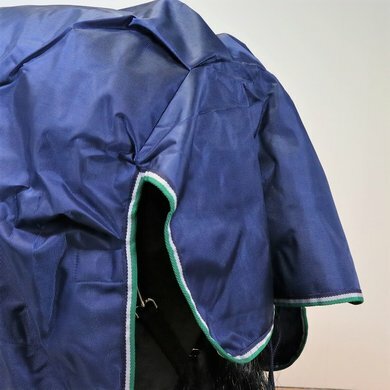 The liner transports moisture immediately outside so that the blanket always feels dry and comfortable even when laying the blanket on a wet horse. 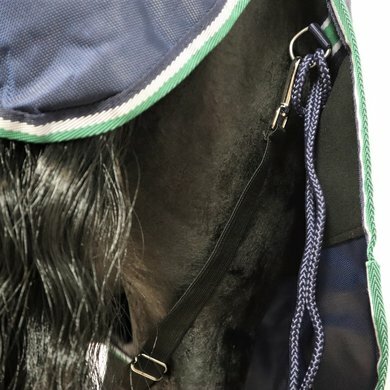 The intelligent system in the liner ensures that lining, which is in direct contact with the skin of the horse, remains dry and the moisture is transported to the outer layers of the blanket. 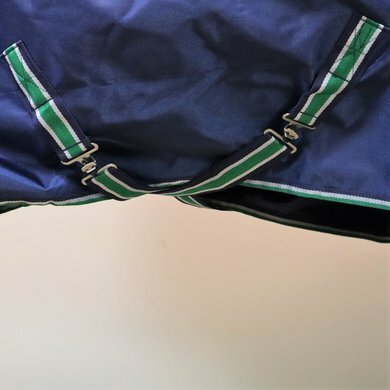 The Bucas Smartex Extra Turnout has extra soft padding on the chest, shoulder pleats and a smooth nylon lining that provides extra comfort and reduces friction. 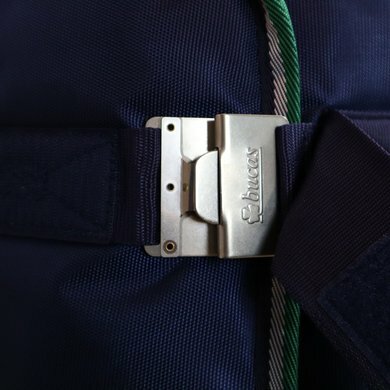 The blankets are equipped with both practical and safe items, such as elastic leg pockets, the unique, hand-held, click n go pre-lock and handy Velcro straps to attach a Combi-Neck collar. - Clickn Go in stainless steel, patented pre-lock, which can be opened with a handshake and fastened. - Very comfortable, double overlapping chest area for optimal protection. - Shoulder pleats for extra space and freedom of shoulders and a perfect fit. - Ballistic nylon outer fabric for optimal strength and durability. - Durable, waterproof and breathable coating. - Stay-Dry liner, removes moisture from your horse. 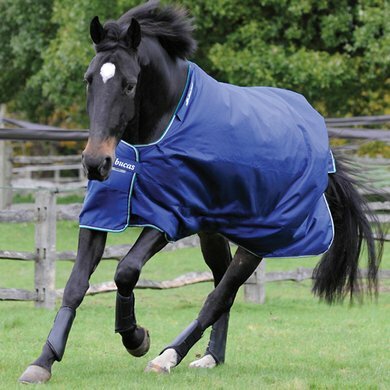 The underlayer does not itself wet, so your horse always has a dry blanket on its skin. - Strong and smooth nylon lining on the front to prevent sanding. - Safe elastic leg parts. - Fixing points for the loose delivery neck. 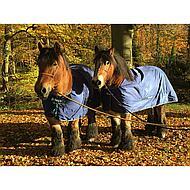 Bucas Smartex Turnout Extra Big Neck is the blanket that you do not regret and enjoy years of enjoyment. nice blanket nice sturdy fabric and large neck space, he only had the tendency to lean crookedly with my horse, on the inside of the blanket there is a fabric where the hairs of your horse stay in that is a shame, even after he the hair is still in the dry cleaner. For years I use Bucas blankets for my horse. Again this is a very nice blanket. Thanks to the Big Neck, the blanket fits very nicely and does not slide. 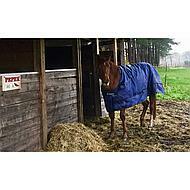 Blanket is warm, waterproof and regulates the heat. Ideal for my horse who always walks outside during the day. Blanket also works as a kind of sweat blanket. If the horse is sweaty after driving, you can simply put the blanket on it and you do not have to wait until the horse is dry under a regular sweat blanket. It is a pity that the price is increased so horribly as soon as there are sticker discounts. Normal price is around € 210, so not € 260, - !! Fits super with my horse with extra wide neck. Blanket stays nice. Solid and good quality. Question: Which breast enhancer is only on this blanket? Answer: There is no breast enhancer on this blanket. Question: I have a Frisian mare with a large front of 160. 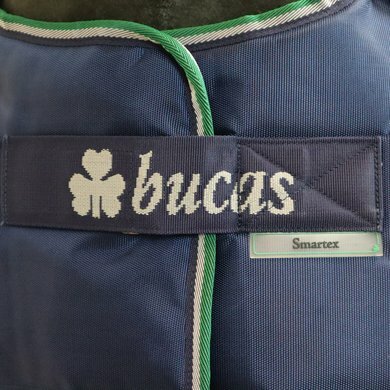 Which size of the Bucas Smartex extra big neck do you recommend?